MADESIGN™ is a unique and versatile luminaire that combines an original concept with sleek design. Developed as an interior architectural luminaire for lighting objects or people, MADESIGN™ reinvents the appearance of event projectors and perfectly matches modern interior architecture. Equipped with new high-power RGBW LED sources and high-performance 45 mm optics, MADESIGN™ gives an infinite palette of rich pastel or saturated colours. 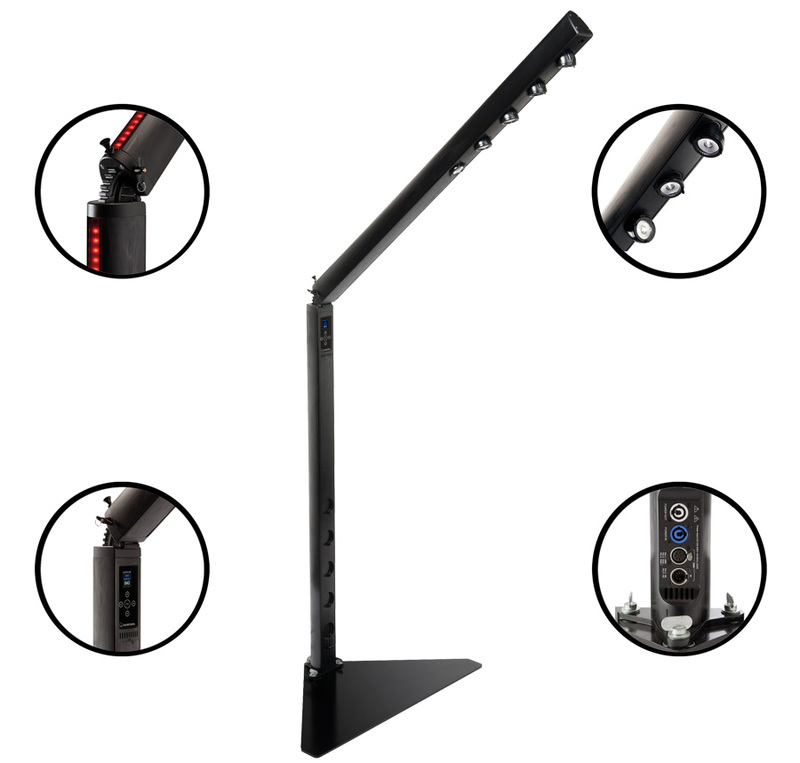 The upper part of the luminaire has five adjustable spotlights that can be individually controlled to accurately answer any need. This is complemented by an independently controllable RGB backlight feature on the rear of the fixture.